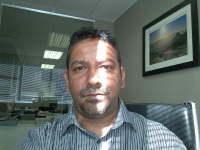 Deena Reddy has won Free Accommodation 1 time! "Wow, this is amazing. I never expected this, Sleeping-OUT is the way to go for sure." The Howick Falls Hotel is located in the KwaZulu-Natal Midlands, just 24 km from Pietermaritzburg. Built in 1872, the Howick Falls Hotel has a proud history and can count such famous historic icons Mark Twain, Henry Morton Stanley, Cecil John Rhodes and Paul Kruger amongst its list of past guests. 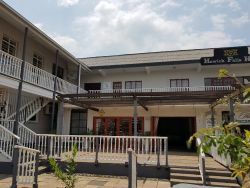 The Hotel is situated in the centre of Howick, in the middle of the Midlands Meander, a stone’s throw away from the Howick Falls where the Umgeni river plunges 300ft into the Umgeni Valley. Below the Howick Falls is the Umgeni Valley Project, a 650ha reserve owned and managed by the Wildlife Society of Southern Africa. It contains giraffe, wildebeest, zebra, nana, impala, eland and other mammals. The Howick Falls Hotel has three different accommodation options aimed at meeting your individual needs. Standard rooms, available as a double or twin, can accommodate two people and offer en-suite facilities with a shower, DSTV, wireless internet, air-conditioning and high-security keyless card access. Executive rooms are larger than the standard room, also available in Double or Twin options, and offer a full bathroom with bath and separate shower. Suites or family rooms consist of two rooms sharing a large bathroom complete with bath and separate shower facilities. These rooms are ideal for the travelling family. They can also be set up as a bedroom and a separate lounge - ideal for the travelling business person to hold private meetings. RAYS Café is designed to give you a warm welcome, with ambiance of the restaurant set in a true European Style, with tables outside on the sidewalk. The meals and food provided is simply a delightful change and an exciting selection is available for your choice. The service is very quick, you won't be disappointed. The light crisp air, calming atmosphere and peaceful surroundings guarantees you a dining experience that is simply unforgettable.RAYS Café offers a wide selection of delicious meals ranging from small to large breakfasts, lunches and dinners. As well as afternoon tea’s, scones and amazing cakes. The Howick Falls Hotel has a functions room/conference room ideally suited to hold meetings of up to 50 people. All modern conference facilities will be available - TV's, projectors, Laptop connectors for projectors + TV, overhead projectors, set out at your design.